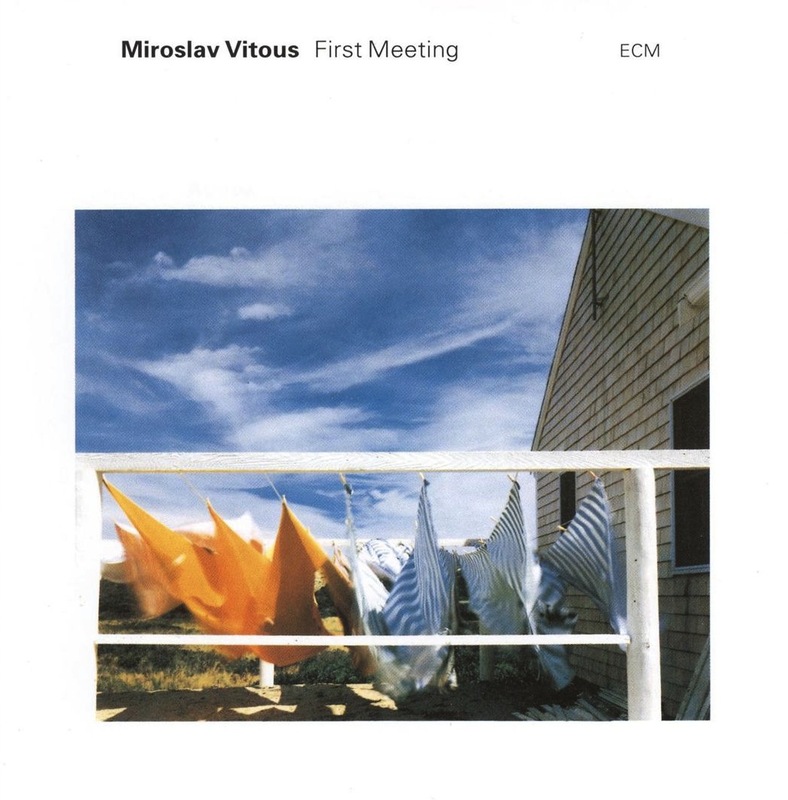 Leader Miroslav Vitous is the rare bassist who can negotiate both pizzicato and arco techniques with comparable finesse, bringing the latter to bear upon much of what we hear on First Meeting. The contours of the 11-minute “Silver Lake” epitomize the creative span of the ECM label and its ability to bring together complementary talents that might otherwise never have crossed paths. From its frayed beginnings to the fine braid into which it weaves, Vitous’s passionate anchorage finds perfect foils in Kenny Kirkland’s gorgeous arpeggios, Jon Christensen’s ever-delicate cymbals, and the buoyant stylings of John Surman’s soprano. The latter switches over to a rich, chocolaty bass clarinet for the complementary “Recycle.” Like a memory divided down a drummed middle, it is equal parts regret and hope. Moments of skyward abandon dovetail effortlessly into earthbound runs. Kirkland is especially poignant here, seeming to revel in the feeling of soil between his keys, each a toe pressing into the forgiving earth. This ripple effect spreads to Christensen, who nods a brief solo before Vitous sparks a flowering return. Between these juggernauts thrive two rolling pastures. Surman finds palpable symmetry amid Kirkland’s sublime chording in “Beautiful Place To” and shows off his fluttering delicacy in “Trees.” The ad-libbed title track is more tentative. Coalescing into the barest of grooves, it provides a pleasant conduit into the enchanting bass solo that is “Concerto In Three Parts.” By turns tender and enthralling, it sometimes catches itself in rhythmic hooks, but is mostly content to roam a winding path toward “You Make Me So Happy.” This gorgeous burst of jazz synergy has all the makings of a standard and leaves us basking in sugar. First Meeting is a breath of fresh light, a testament not only to Vitous’s compositional abilities but also to his sensitivity as a collaborator, and is one of many on a label that continues to abide by the excitement of unimaginable adventures. Each of its facets is a window into a deeply beating heart, where only sound is blood and blood is music.